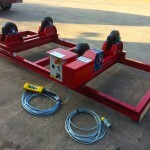 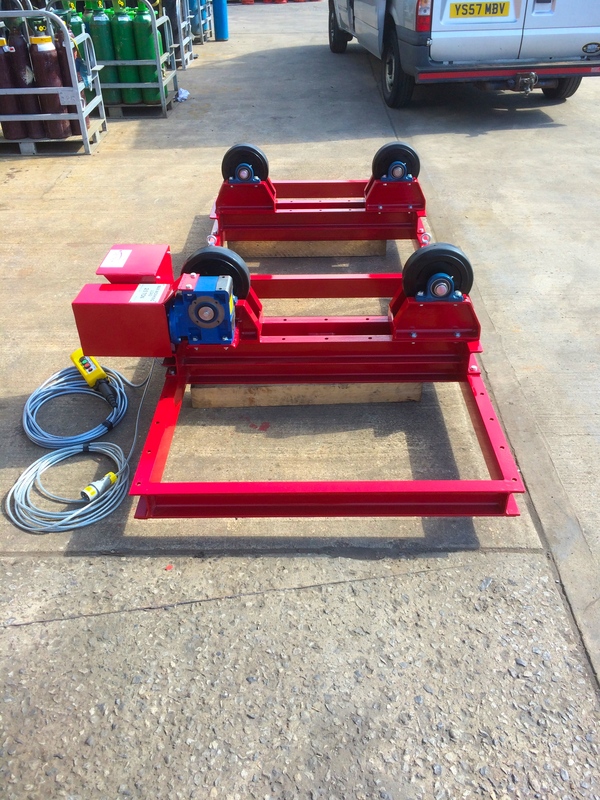 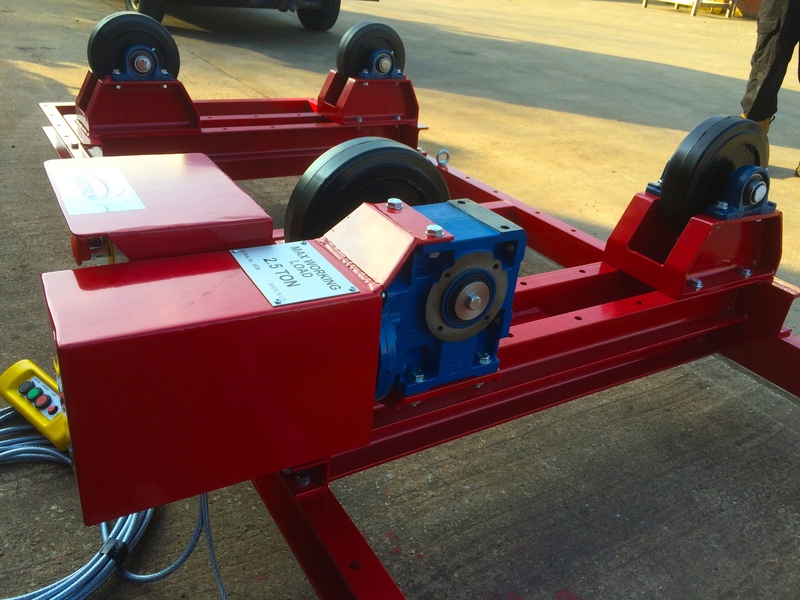 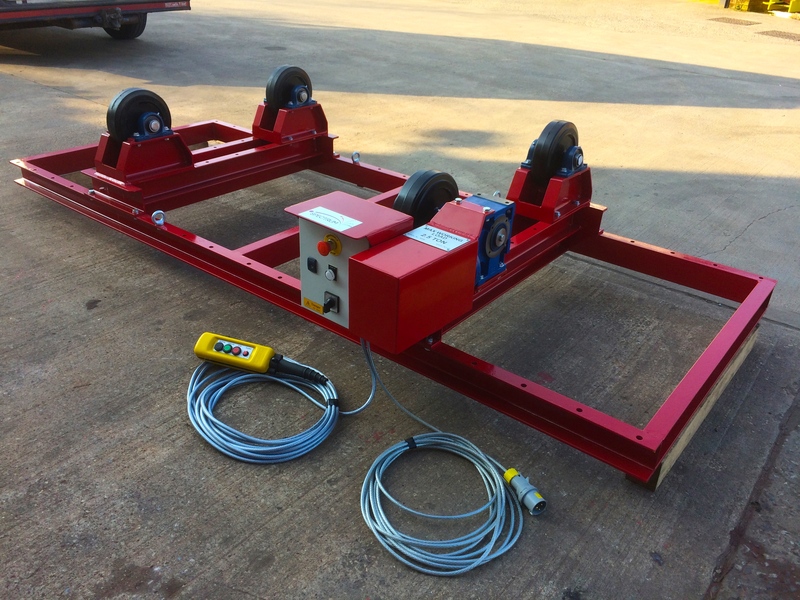 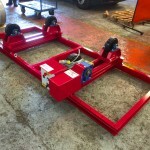 Here are our 2.5 tonne bespoke 110V pipe rotators complete with pendant remote control and fitted on a bespoke adjustable parallel guide frame we manufactured. 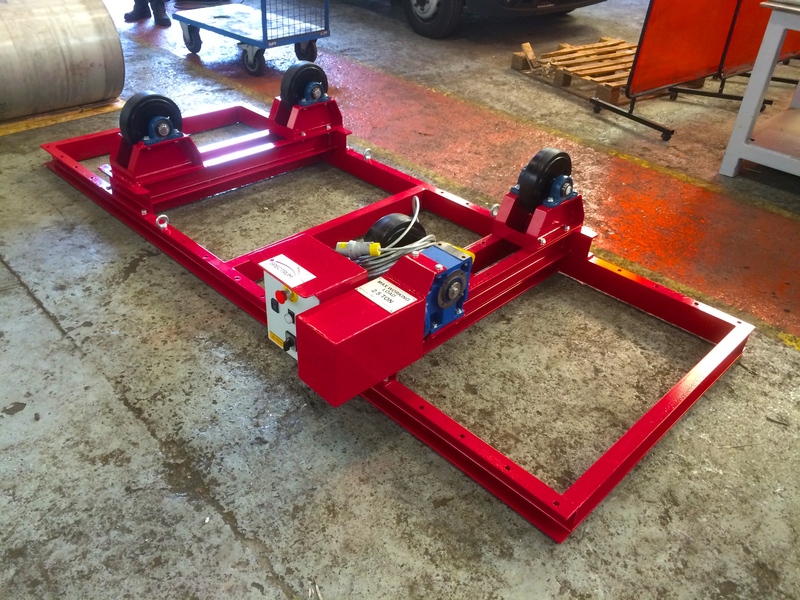 This particular model has been specially made for a customer who needs quick and easy access for craning around their shop, as seen from the x4 lifting eyes. 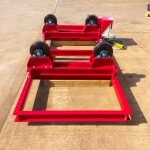 It was also essential that the rotator drive and idler frames remained in perfect parallel alignment to prevent cork screwing, which the guiding system provides perfectly. 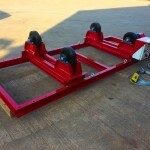 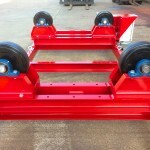 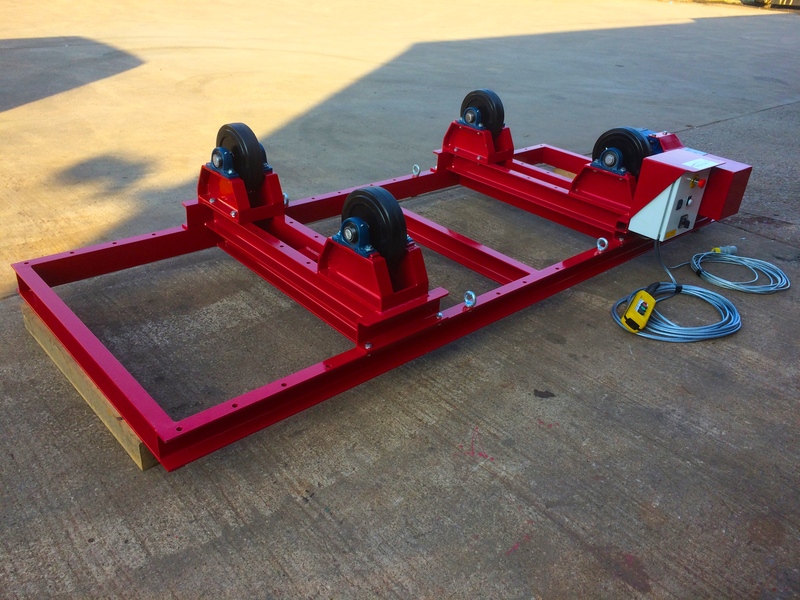 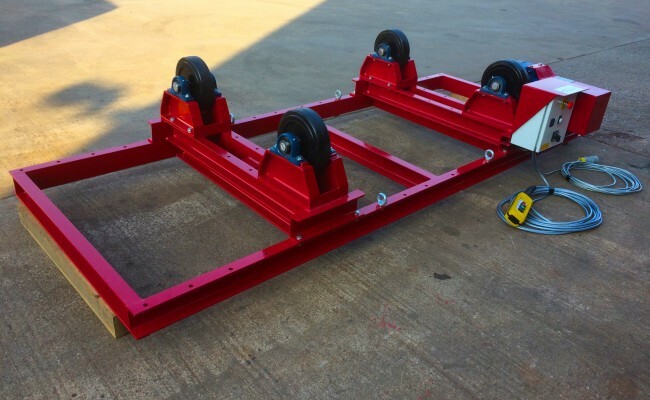 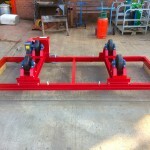 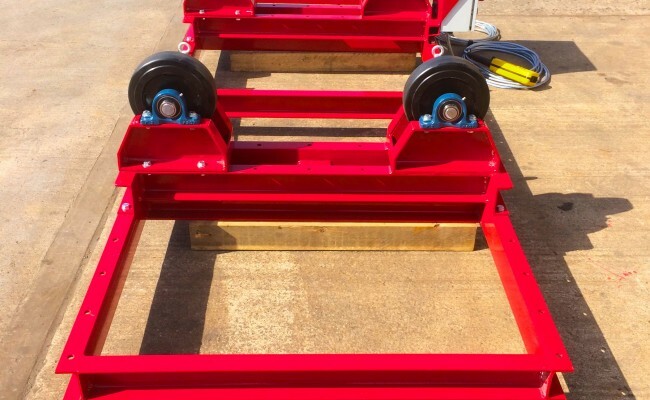 Any length frame guide system is available upon request, and this set could have been made fork truck liftable by incorporating x2 box section lengths. 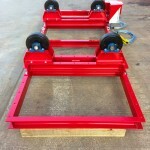 These options are dependant upon the customers requests. 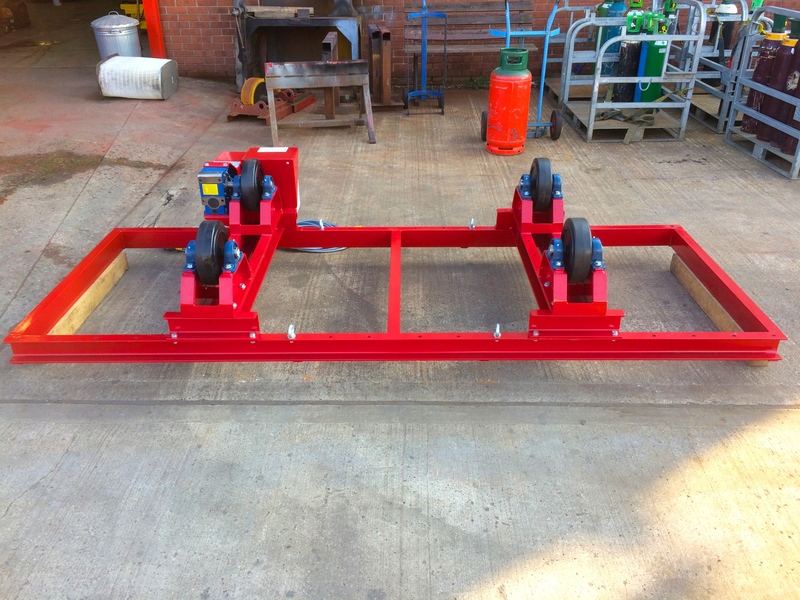 These conventional rotators are our own design and manufactured in-house, specifically made to accommodate wider vessels with greater clearance from the frames using larger wheels which have been raised. 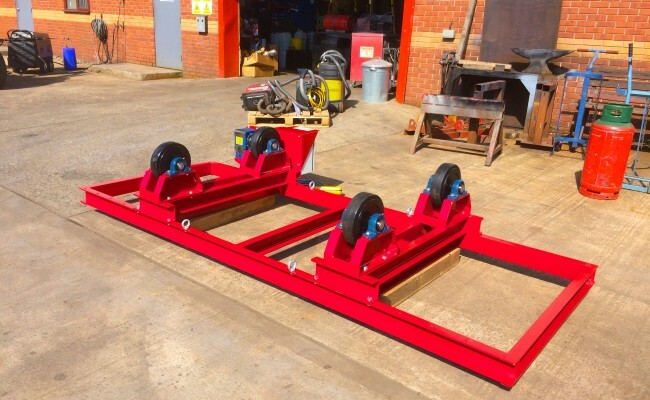 The reason for raising these wheels an additional 6" from the frame is that our customer is turning boilers with lots of protruding fittings/pipes. 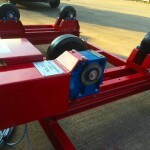 Any height/wheel size is available. 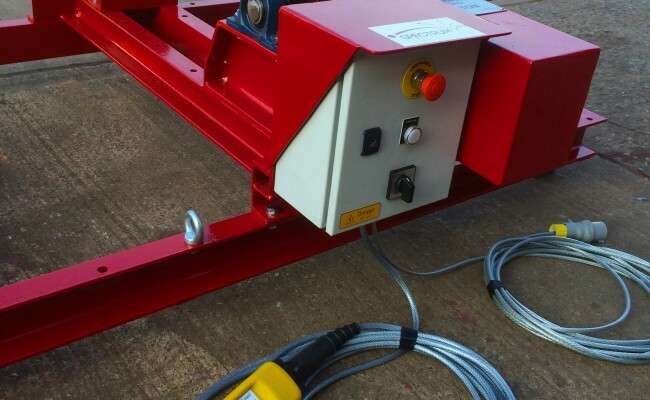 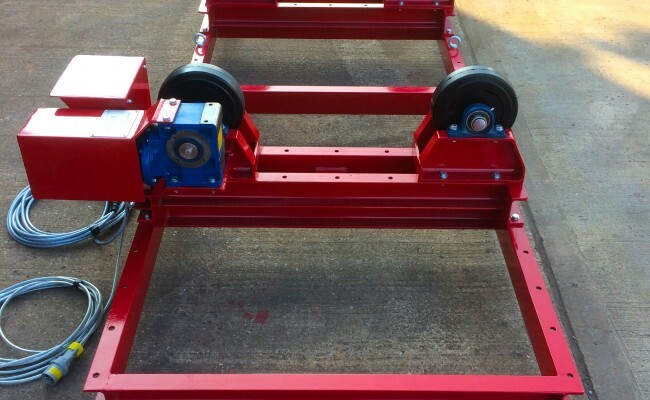 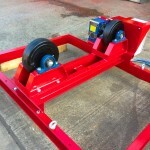 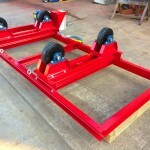 Other features include being light weight to move up and down the frame, wheels that can come within 20mm from one another for thin pipe work, and a digital display. 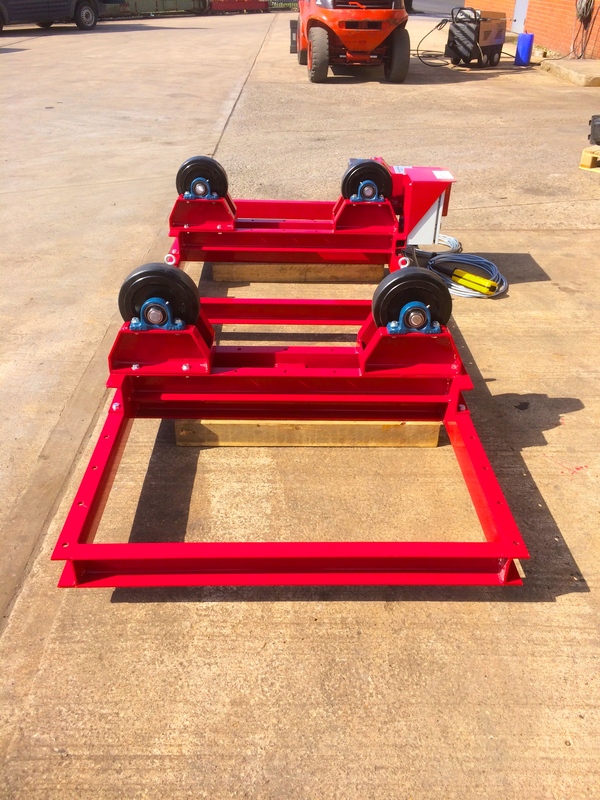 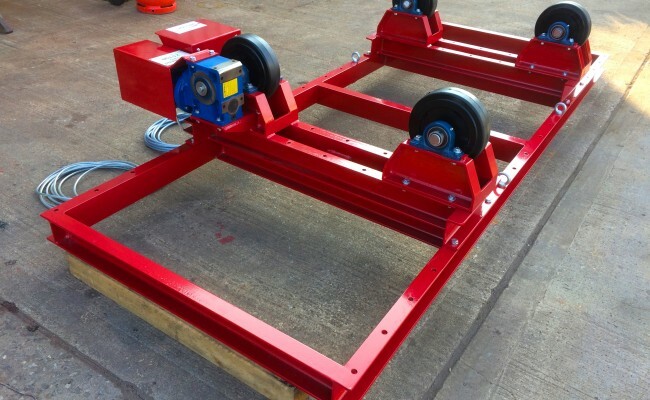 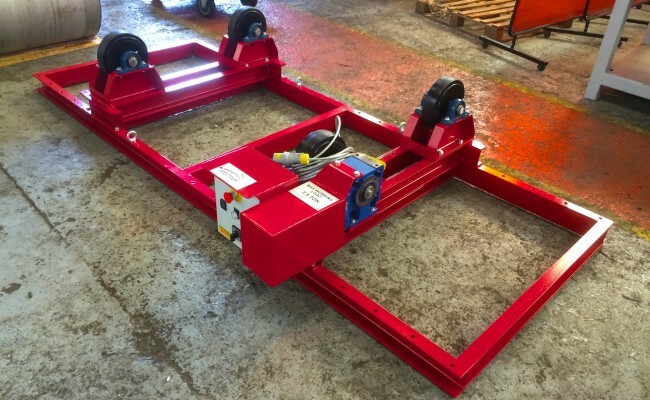 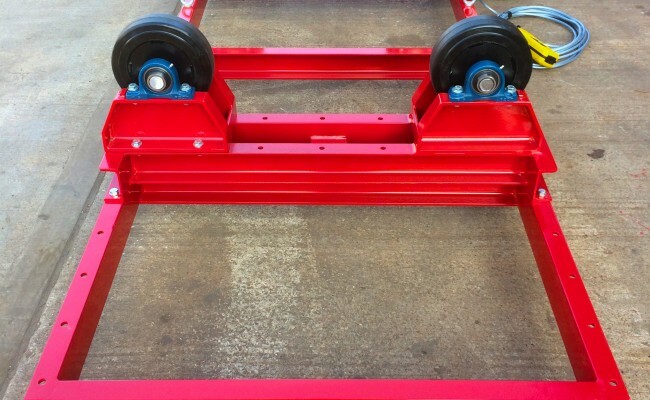 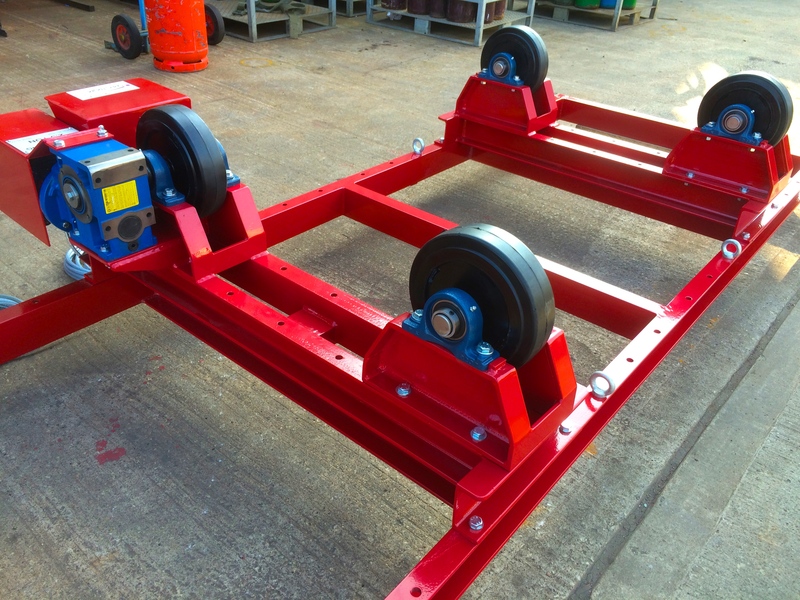 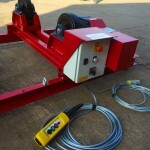 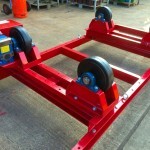 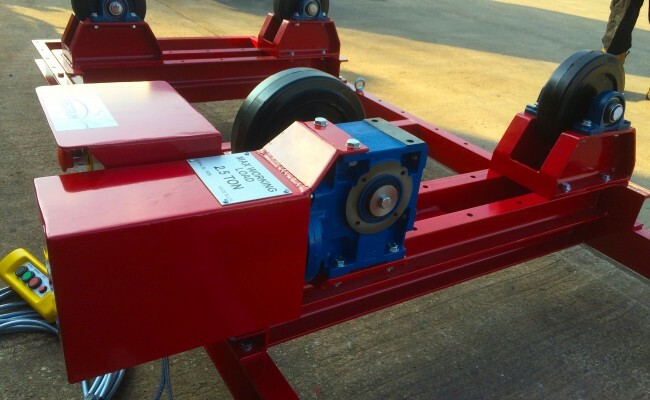 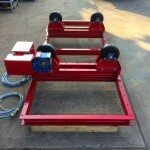 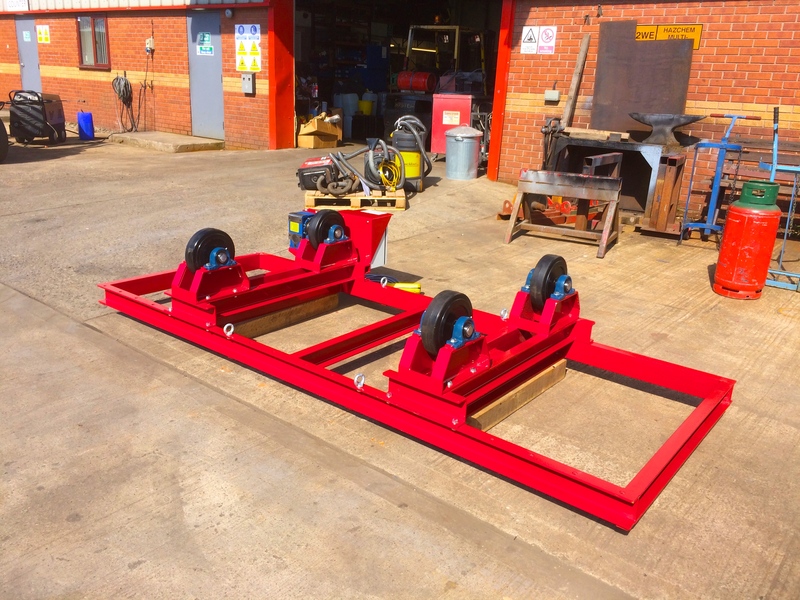 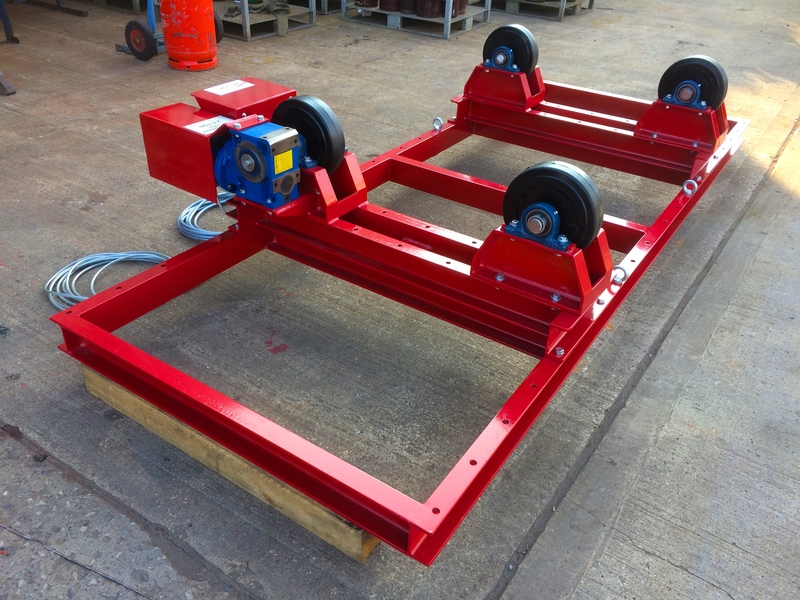 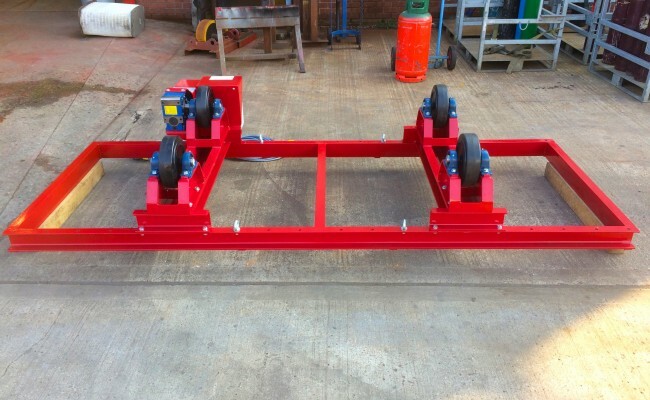 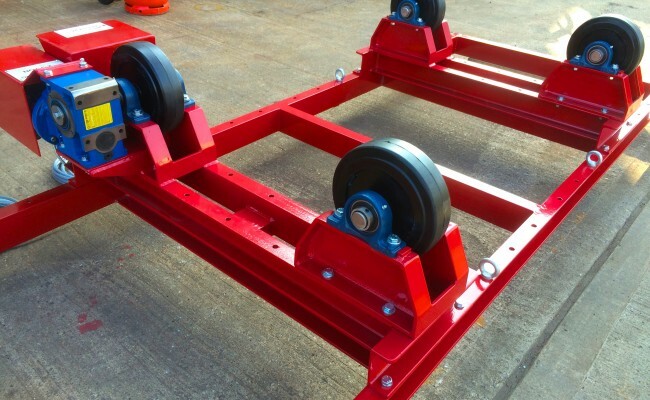 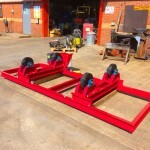 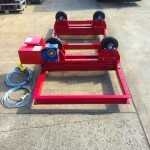 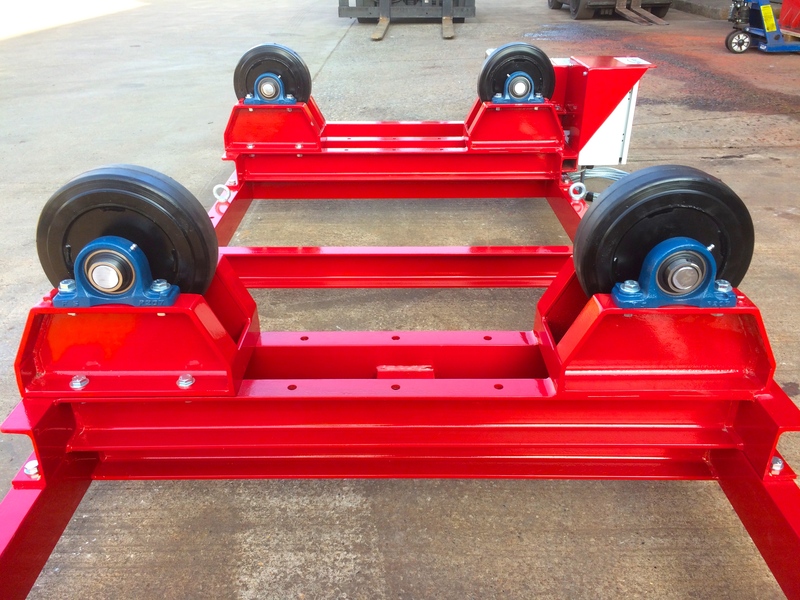 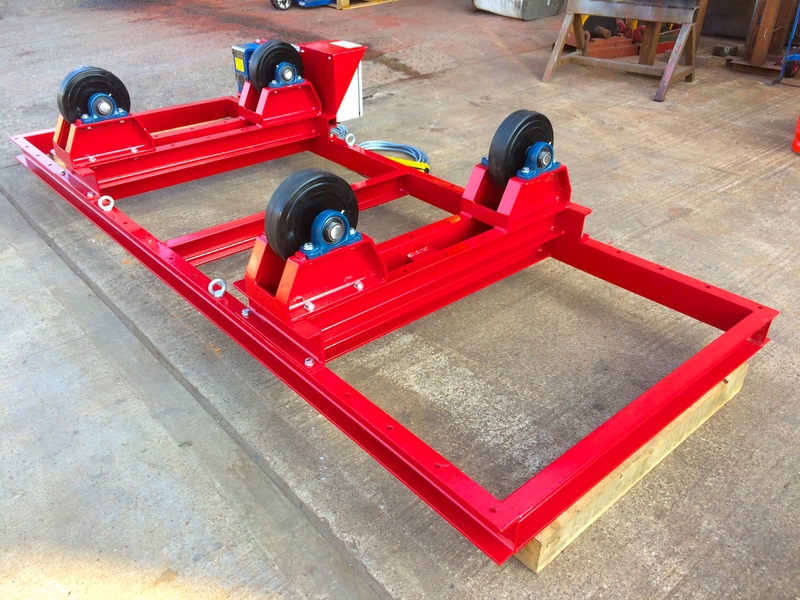 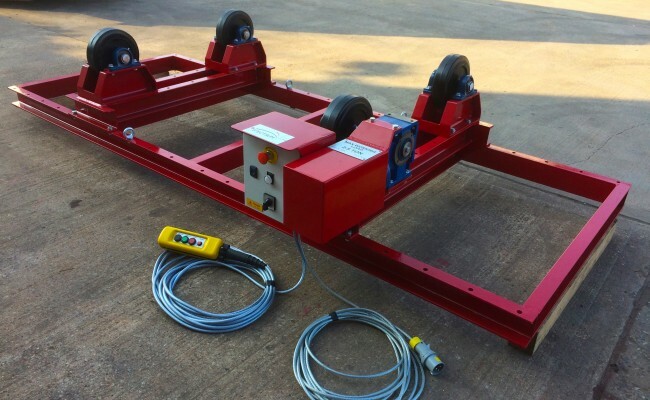 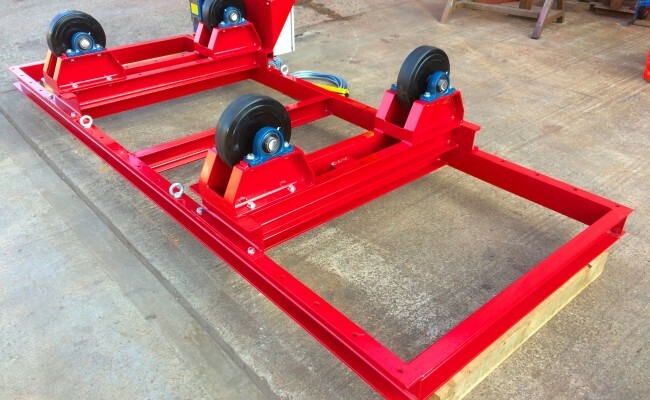 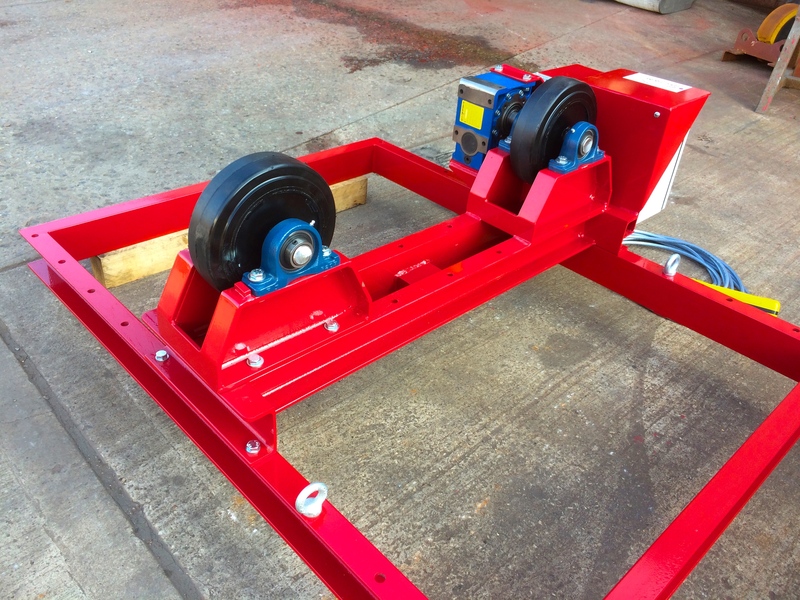 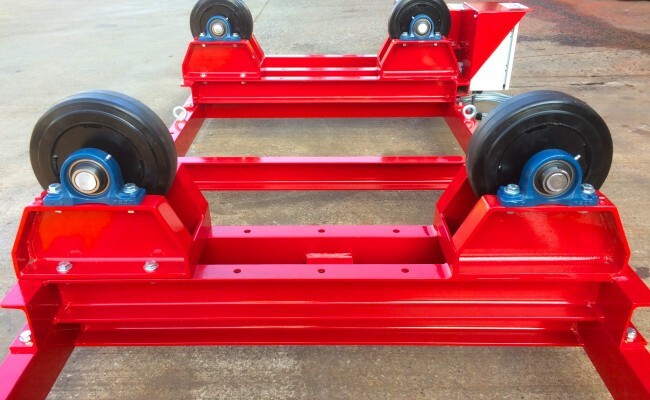 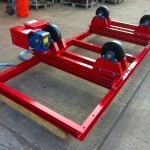 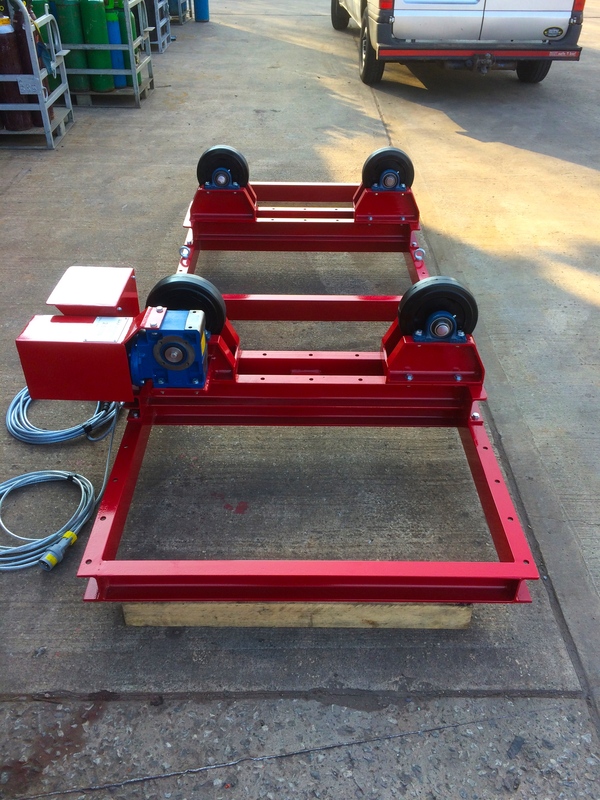 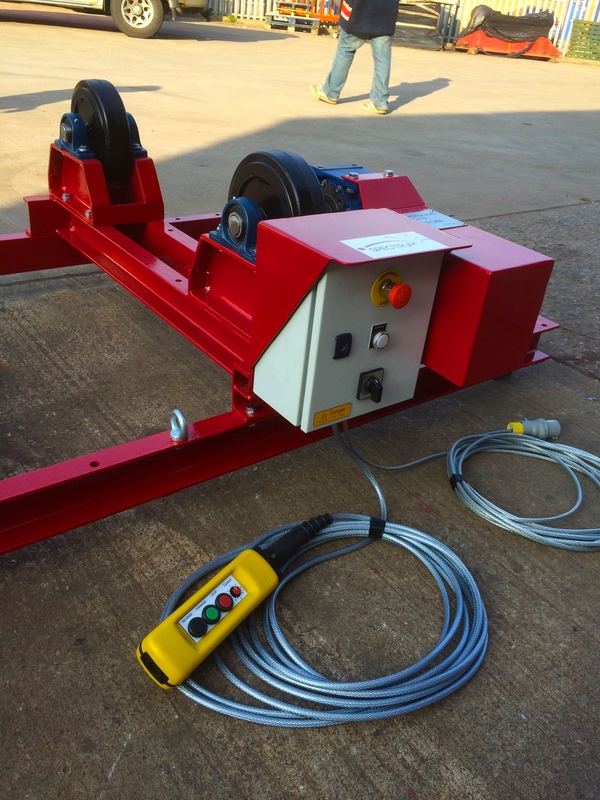 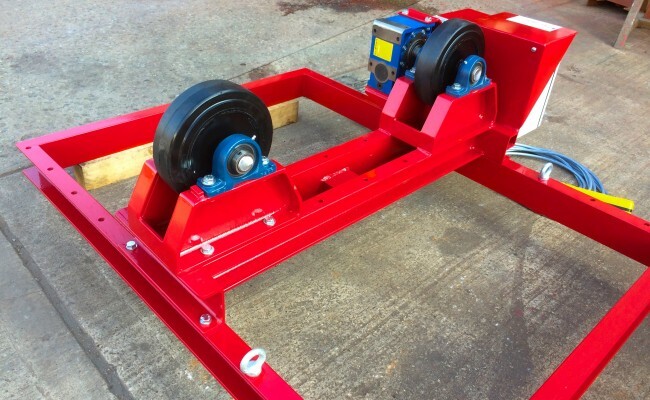 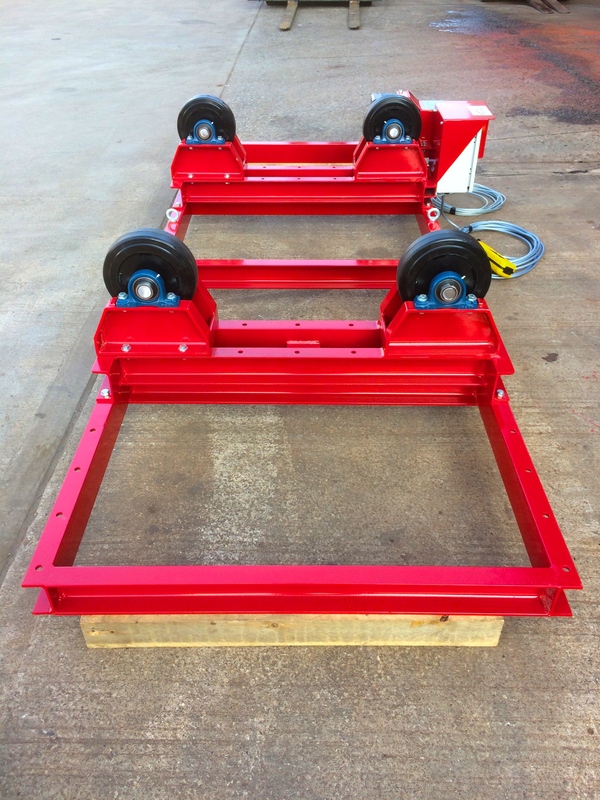 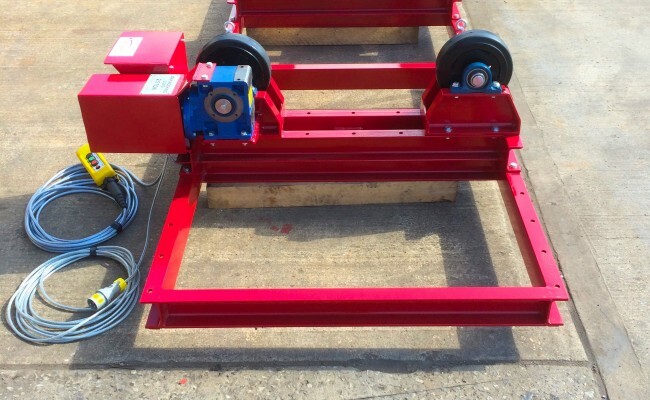 Our standard 2.5 tonne welding rotator model have the same SWL weight and width capacity as these special 2.5 tonne rollers seen here in the photos, whereas the bespoke long frame allows for quick and easy roller alignment.